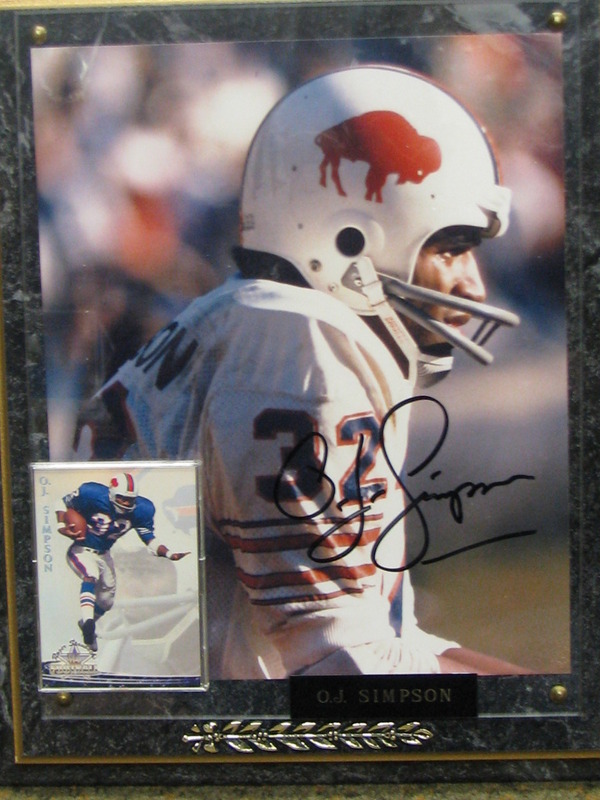 NCAA and NFL great O J Simpson signed photo. O J Simpson plaque mounted photograph with card autographed. All items are deemed AUTHENTIC with a LIFETIME MONEY BACK GUARANTEE on the FULL PURCHASE PRICE.